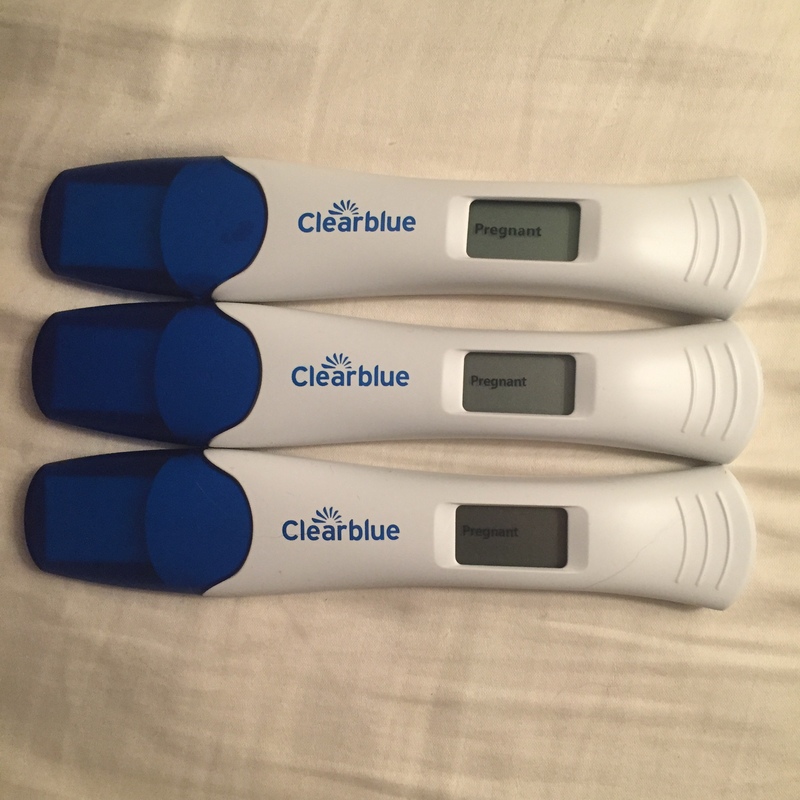 When your father and I were still trying to get pregnant, I managed to waste a box set of 5 pregnancy tests in just a couple of days over a false alarm. 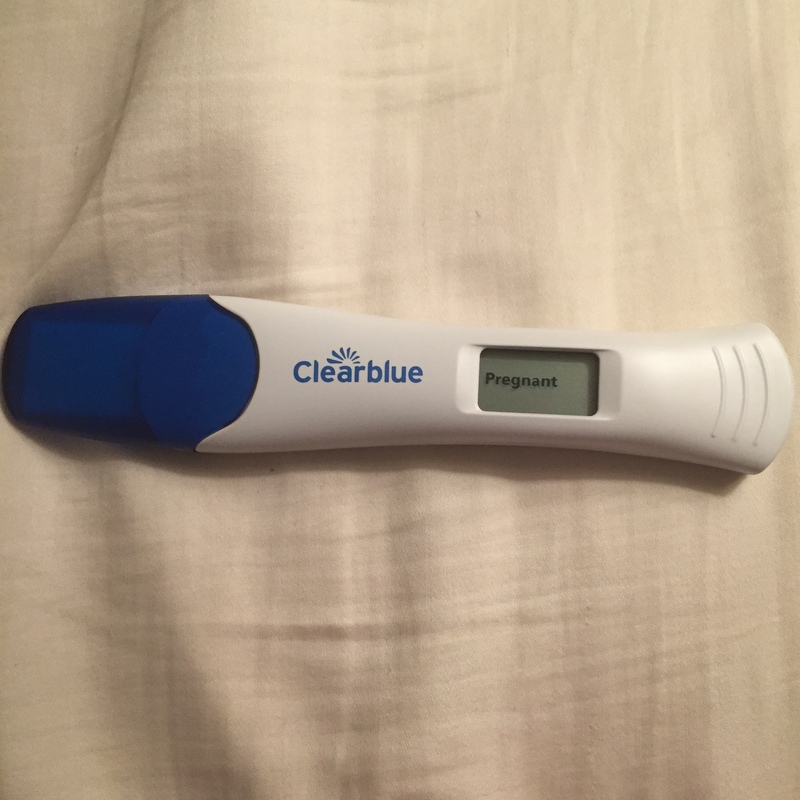 It was the type of pee test where two stripes confirmed pregnancy while one stripe meant “Sorry, try again.” I used up all the tests thinking, Maybe that’s just a blurry second line, maybe I’m really pregnant. I wasn’t really pregnant, not that time at least. I called your father and asked him to drive back home (he was still close to the house when all this unfolded). I had no elaborate plans to surprise him with the news. He walked in, all worried, asking why I called and I showed him the pee stick. I forget what he said but I remember how happy I felt when he smiled right before hugging me. It didn’t last very long (because he was running late for work) but it was the sweetest embrace we had ever shared since we got married. I’ve already shared with you how I struggled with hyperemesis gravidarum during the first half of my pregnancy. I also mentioned some other pains I felt during the later half. But I don’t think I’ve told you that your father and I were planning a last little getaway before you were born. But on the Friday leading up to the trip, your father and I ended up spending the night in a hospital. 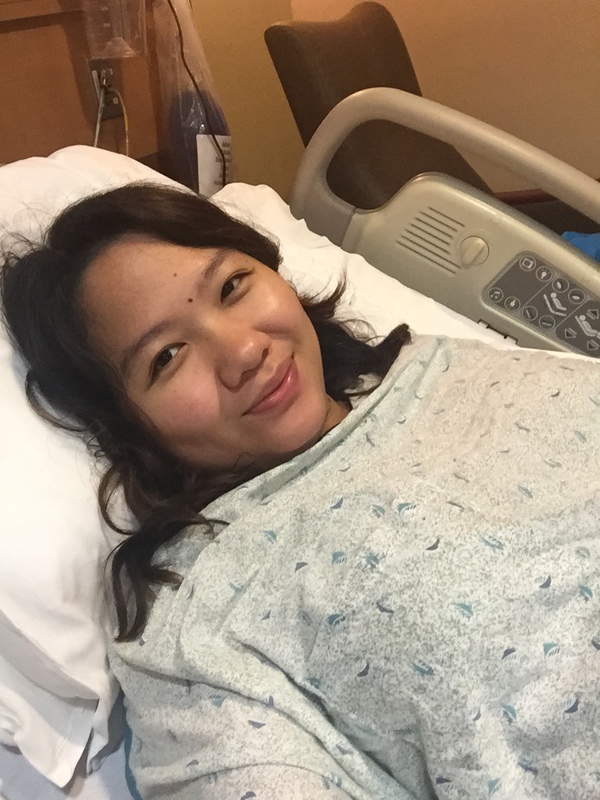 I was confined due to preterm contractions and was given medication to prevent me from going into labor. The next day, I was discharged and ordered to take off work sooner for some bed rest. Every week, the doctor was expecting me to go into labor already. But my cervix never dilated until the night of November 14th, one day later than your original due date. Even then, the hospital sent us back home because I was “barely” dilated. On the midnight of the 15th, your father and I drove back to the hospital since the pain from my contractions had become unbearable. But according to the resident, I only opened 1 cm. I was put on morphine rest to help with the pain. Honestly, it was useless. The pain still barreled through me and the morphine only relaxed me enough to properly breathe through the contractions. Around 3 to 4am, I had dilated to 7cm. I was in active labor and was administered epidural with my speedy consent. 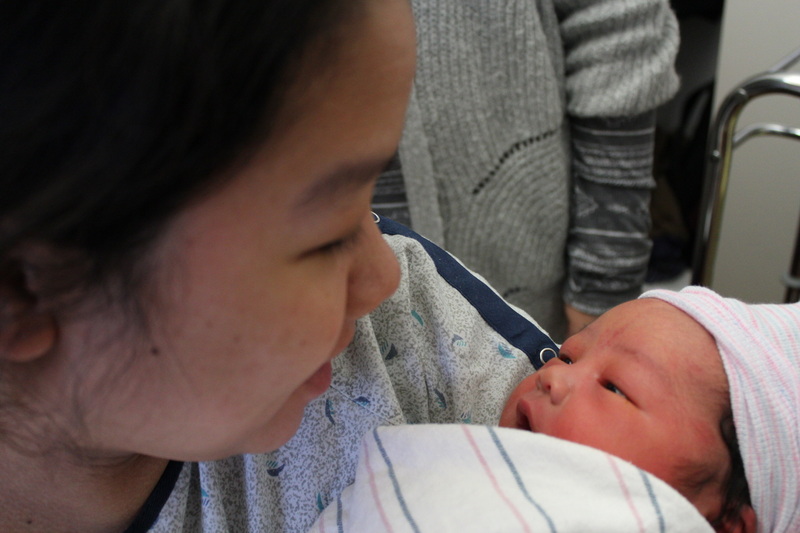 Around 7 to 8am (forgive the inaccuracies – your mother was pretty messed up during this time), my cervix hardly changed and your head, my dear child, had not come down… at all. 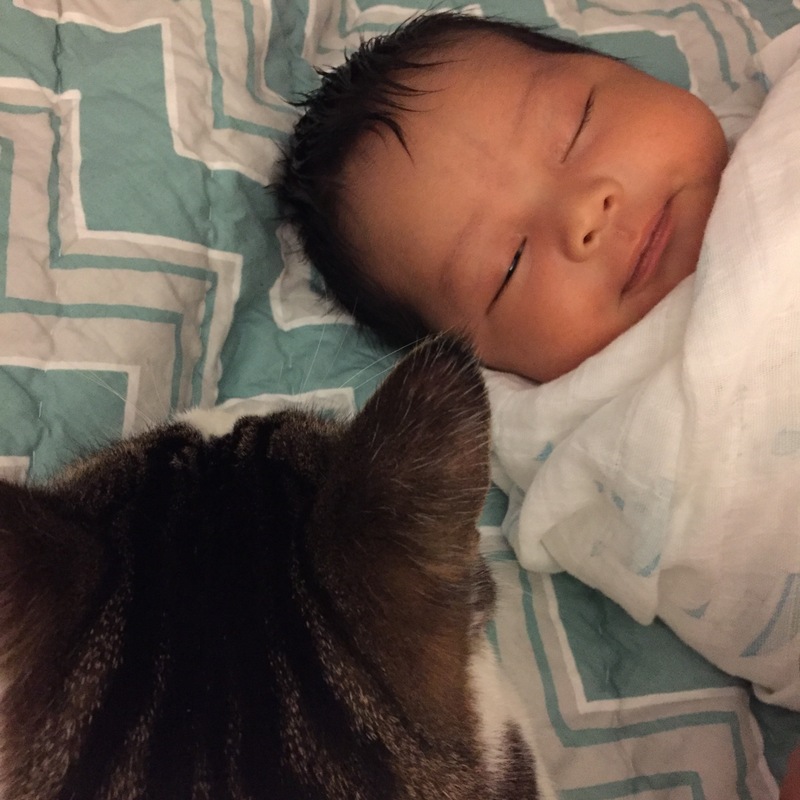 Between 9 and 10am, it was decided that I would deliver through C-section. The operation started at about 11am. I didn’t hurt until anesthesia wore off much later. However, I did feel the poking and pulling on my insides, and I did shiver uncontrollably from what seemed like extremely cold surgery room temperature. At 11:39am, you were born. 9 pounds and 2 ounces. The doctor said that you were such a big baby, there was no way my anatomy could have handled delivering you naturally. Another doctor made a comment on your ultrasound weeks before. Based solely on your 4D image, he concluded that I would be having a beautiful baby. When I first saw you, first heard you cry, nothing could have prepared me for how beautiful I found you, how overwhelmingly thankful I was that you’re alive, you’re well and you’re finally with us. When you grow up, I will constantly remind you of how tough I had it while I was pregnant with you. I will also tell you about how tough I had it after giving birth to you – from a not-so-fun C-section recovery, to you catching a virus, to my run-in with gallstones (which I am still currently dealing with). But no matter what I tell you, know that you are worth going through it all… and that I love you very much. This post is a little bit late as I have still been adapting to your arrival. But welcome to the world, Nikolas Ryan!